Cree su usuario y el de su familiar (usuario emparejado). 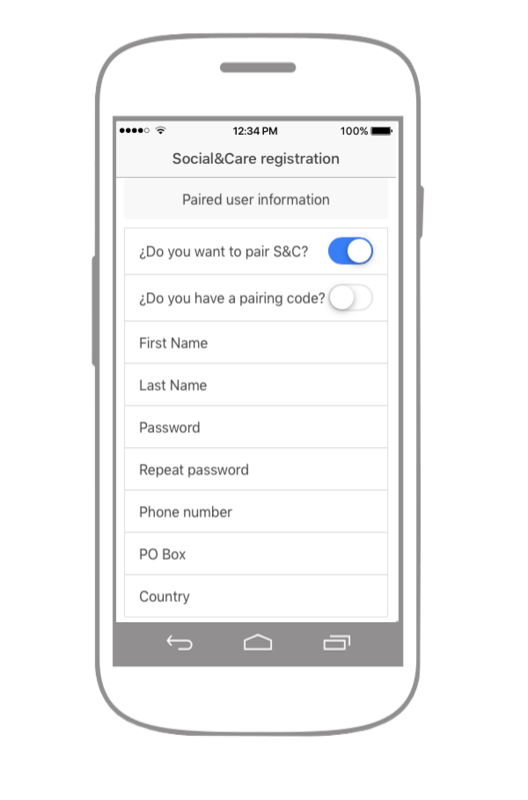 Download Social&Care on your smartphone. Create your Social&Care account and your relative’s one. Activate your account and start enjoying Social&Care. Log on to Social&Care on your smartphone and on your loved one’s device. Social&Care learns and records the places your relative visit. New locations created by Social&Care will be identified by their GPS Position. You can create new locations for your relative. Enter a description, find the address and save the changes (Repeat the process for every location). 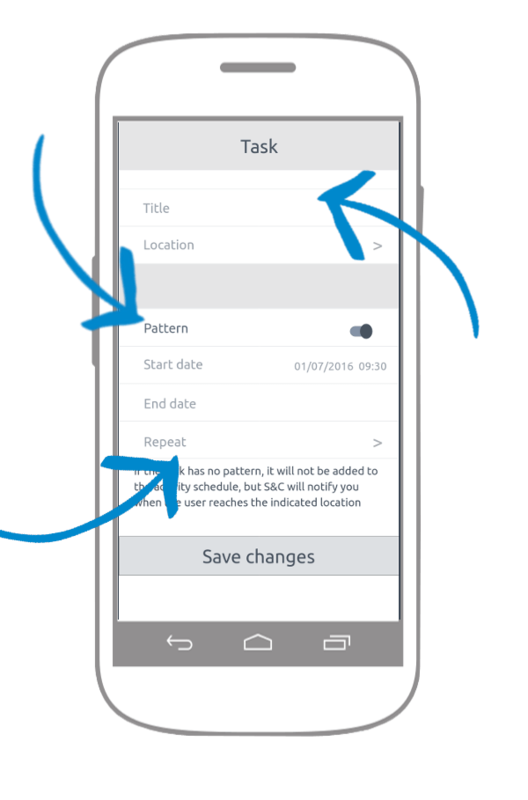 On your smartphone, log on to Social&Care and select Settings in the main menu. There will appear the name of your relative: select it. If you want Social&Care to inform you when your relative reach one of the locations, create a “Reach + location name” task and associate it with a previously created location. Save changes without defining a pattern. 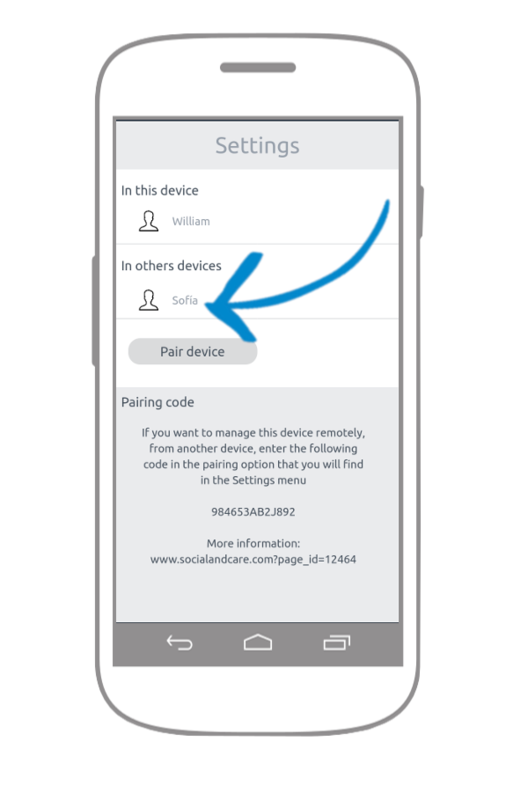 Social&Care will notify you when your relative reaches that location. You can create new task and medications for your loved one. For task and activity reminders, please visit our advanced tutorials. Download Social&Care and you will know if your loved ones are in the right place at the right time, without them having to do anything.